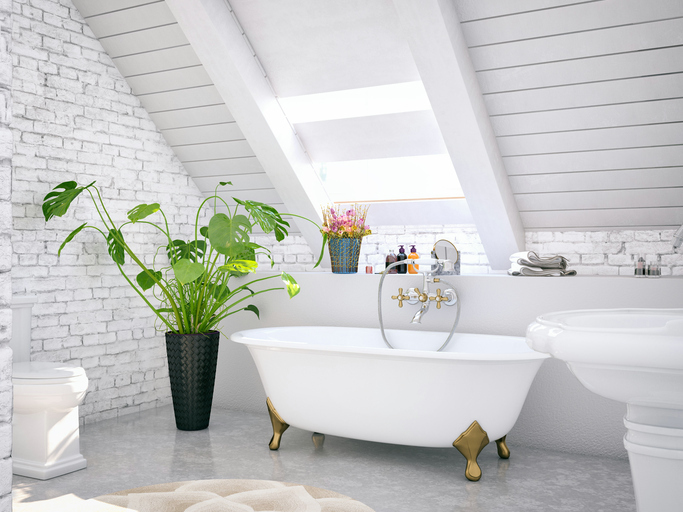 (Family Features)–Bathroom and kitchen upgrades are among the most popular home renovations, but not just because the improvements are likely to increase the home’s value. Renovations to these high-use areas can enhance the practical enjoyment of your home while adding aesthetic appeal and style. If you’re looking for a substantial change, a complete remodel may be your best answer. This approach allows you to integrate a consistent look and style throughout the room and create a truly custom experience. However, a project of this scope often requires professional assistance. If there’s one place in the home where task lighting really matters, it’s the kitchen. Proper lighting can help ensure you can see well for safe food handling. It also helps set the mood for the room, whether it’s a lively gathering with guests or a quiet candlelit meal at your eat-in nook. You can create a focal point with exquisite fixture over a feature like an island then be sure to complement your standout fixtures with recessed lights on multiple switches with dimmers so you can customize the lighting as needed.